WHY WE DO WHAT WE DO? Exercise isn't just about how it makes you look, it's about how it makes you feel. At CLUBHAUS FITNESS, our purpose is to help our members take better care of themselves both physically and emotionally. In turn, they will take better care of their families and our community. We believe that a HEALTHIER COMMUNITY IS A STRONGER COMMUNITY. HOW DO WE DO THIS? We EDUCATE our members through our classes and trainings. We SUPPORT our members by sharing in each others success. We INSPIRE our Members by pushing them further than they ever thought they could go. Finally, we build COMMUNITY around our members because we know how important it is to belong to something positive. WHAT DO WE DO? We HELP our members make positive changes in their lives and we entertain our members because we know everyone could use a little more FUN in their life. Thank you for being a part of our CLUBHAUS COMMUNITY. Stuart Walker, Owner -Clubhaus Fitness Centers, Inc.
"Absolutely love this gym and all the people that work there. Feels like home ❤️"
"Best gym I have ever been a member of hands down. I have recently moved to Denver and none of the gyms here even compare! Please put one in denver!!!" "If you're looking for a gym that feels like a family you've found the right place. Been going steady since summer 16 and I've felt the support of staff and patrons to all help each other reach goals. Good selection of equipment, but the true magic are the classes offered. Classes are from 15 min brutal core all the way up to 1 hour classes with everything in between. Something for everyone and time. I highly recommend trying classes out and finding your jam. They are all good! You'll make buddies fast that will cheer you on and a trained staff always there to help you workout to your best potential. The cherry on top is the social events that take place too. Get to know Chrissy from yoga and you'll be in for a treat come cocktails and snack after a good hot yoga session that happens randomly." "Outstanding staff and a great atmosphere. One of the best gyms I have been in.I enjoy all of the opportunities they offer with all the different classes!!!" Great location. Friendly staff. Facilities are always clean. Excellent amenities. Never overcrowded. Not enough good things I can say about this gym!" 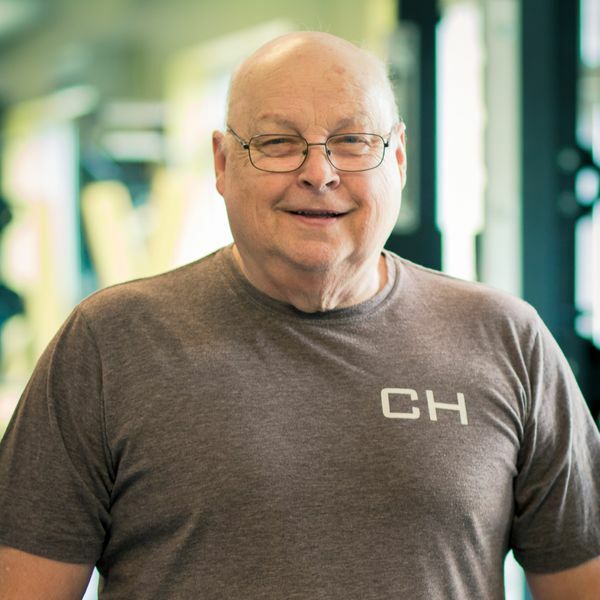 Stuart Walker began his career in Health Club management over 25 years ago as the Assistant Manager and General Manager of Arkansas' largest health clubs. 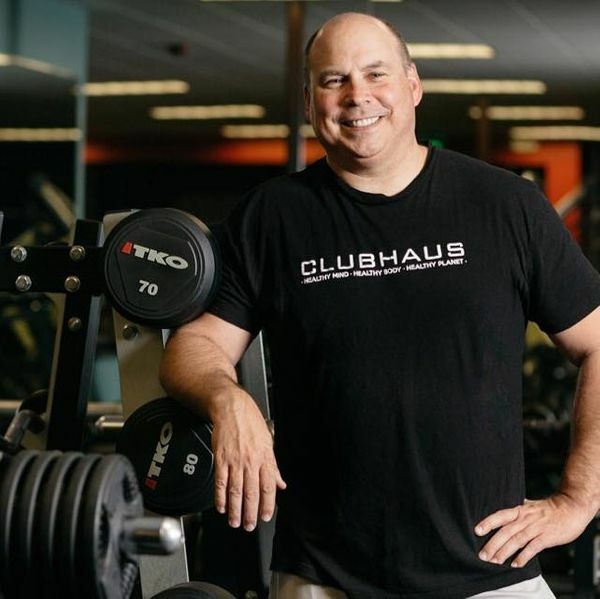 His dream to open his own fitness center was realized in 2009 with the opening of Clubhaus Fitness, located on Dickson Street in the heart of downtown Fayetteville. The vision was simple, to create a high-end fitness center with top of the line equipment and the amenities of a large gym but personalized service to members. Stuart resides in Fayetteville with his wife Missi and their three children. Loyd Walker retired as President of Rector Phillips Morse, Inc. and joined Stuart as his partner in Clubhaus Fitness Centers, Inc. Loyd's financial and business background is beyond measure and he oversees the company financials and progress. Loyd makes his office at the Little Rock location, where he resides with his wife Trudy. He has four children and seven grandchildren.